A quick warm up and the inevitable delays caused by the temporary traffic lights were all M1 had time for before pulling in to marshall at the top of the first division. The crew was confident, but we were all aware that this was only our third time together as a crew. Nevertheless, with a surprisingly strong stream helping us along, we started strong, winding right up and above our race pace. We were perhaps a tad keen and took a while to settle onto a cruising rhythm, but once we did the boat really flew around the corners and on to the motorway bridge to mark the end of the first leg. We knew it would be a lot tougher on the way back up with the stream and the wind against us, but after a short break whilst the rest of the division finished, we gritted out teeth and wound up strong and fast. We settled down as we approached the corners, where Will kept us safely out of the stream as much as possible. On to the long reach, things were getting a tad sloppy and our rhythm wasn’t quite together, but we managed to power through to a reasonably solid finish. It would later turn out that we had coped with the unexpectedly strong stream much better than most crews. Sadly this wasn’t quite enough to secure us the win, but we recorded a respectable combined time of 13:19, placing us third fastest behind Downing and Robinson. it was all set to be quite a trial by fire. After a long wait before the start, with stern pair fighting against the stream to keep us from drifting too much, we were finally able to get started. The first leg flew by, with the combined effects of the current and wind giving us more speed. Things really came together on the long straights, with only a few minor hiccups around the corners, and we developed a good rhythm which resulted in a strong time for the first leg. After spinning and waiting for the rest of the division to finish we pulled in to rest, refueling with some strawbs courtesy of Ollie. Being slightly more wet than at the first wait, starting our second leg was at least a way to get warm again. This time, we were battling upstream, but despite the fatigue from the first leg we made a good start for the first 500m. Slowly, the constant battling against the wind, the current and already being tired meant we began to lose our flow, and we let our speed slip. 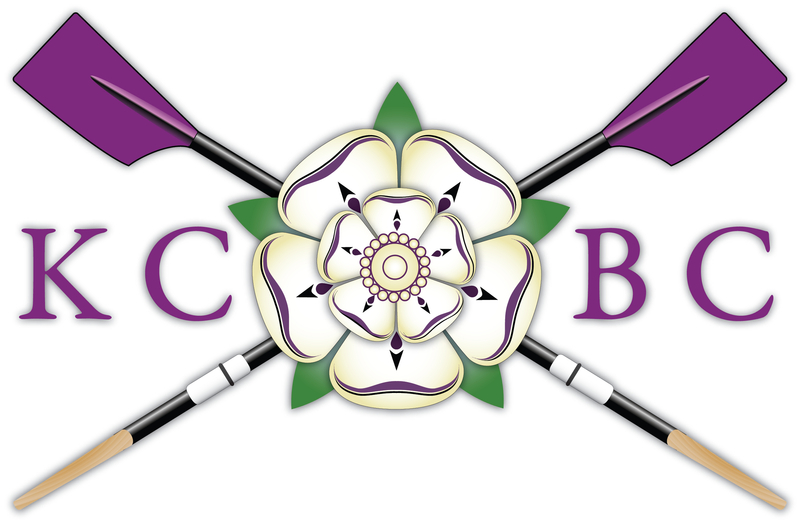 With some inspired calls from our cox (something to do with Downing and dying, although I’m not implying a link, necessarily…), we got back together for the final straight along the reach and put down what we had left to finish strong across the line. Due to a dramatic last minute ceilidh-related injury, it was something of a motley crew that approached the starting line of the Winter Head2Head. Even before the race commenced there was a grueling 20 minute period of constant backing-down. If we knew one thing, it was that it was a relentlessly strong stream we would be doing battle with. The first 2km race went off to a less than ideal start; nevertheless, by the time we reached grassy corner we had found our rhythm, and our confidence. 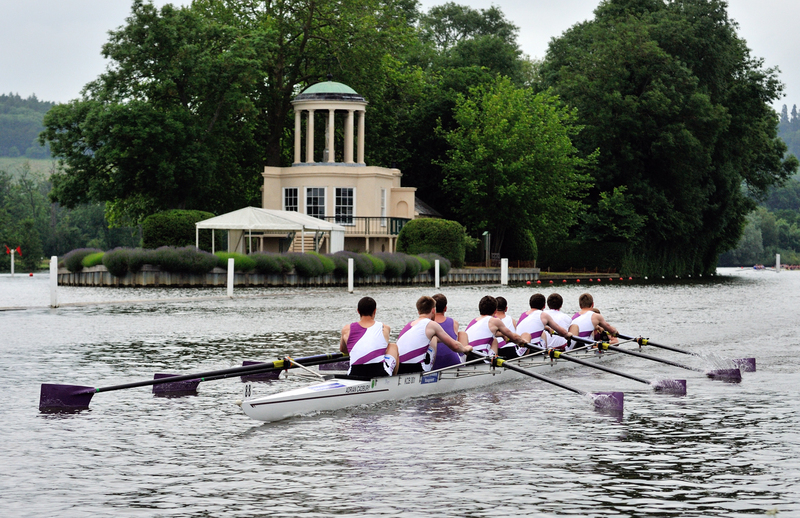 Thanks to some utterly inspired coxing from the renowned Phillip Smith, saving us vital seconds, we gained steadily on the (men’s) crew in front of us, right to the climactic conclusion. As we waited for our second test of strength, courage and commitment, we were treated to some interesting displays of faffing courtesy of a men’s crew who shall remain nameless (for the purposes of this report they will only be referred to as FTT). Coming up to the start of our second 2km, we couldn’t help but notice that this same crew would be racing immediately ahead of us. Undeterred we got off to a very clean start, although the stream and wind were stronger than anyone had expected, we managed to keep the pace up. Some minor inconsistencies aside we rowed our best we had for a long time, managing to keep long and control our slides. All was well, until we rounded grassy to be greeted by the sight of the FTT crew taking the unorthodox approach of parking along the reach. Some quick thinking from the resplendent Phillip Smith saved us from an unintentional “bump” though we did lose vital seconds as we had to veer around them. All in all, a good row, under the circumstances. 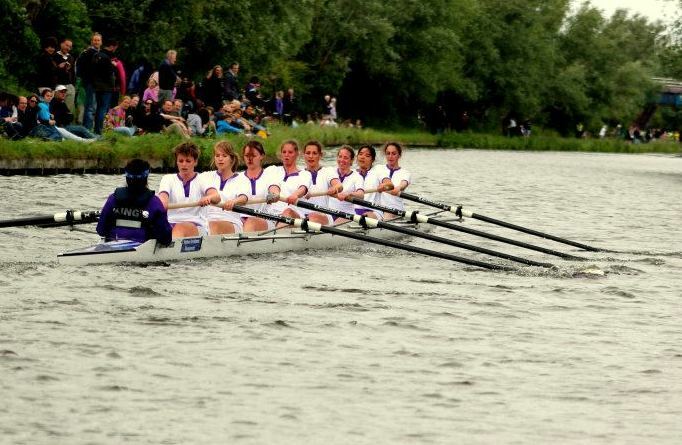 W2 were slightly apprehensive upon entering this race. So early in the term, very few outings as a team and even a sub from M1 (Craig). Nonetheless, as is expected of King’s, we rose to the occasion. We set off firmly in the first race, with the current (unusually strong for the Cam) and wind in our favour. A race strategy of lower rate but very firm pressure was suiting us well. We were solidly gaining on the crew in front. Good corners, solid catches. The crew in front gave up the racing line, an overtake was almost inevitable. But then, calamity struck, a blade popped out of its gate. The crew remained calm. With 5’s assistance, all was fixed but, so close to the finish line, the overtake was lost. After the spin, we refocused our efforts and prepared. Despite the wind, current and fatigue now against us, we rallied. The race was solid. The rate occasionally dropping but returning within strokes. We turned onto the reach, keeping close into the towpath to give shelter. The crew in front gave up its line, again. With bellows from the cox commanding (and even scaring young children on the tow path), we powered over the finish side-by-side with the other crew. Exhausted, but pleased, we returned home to the tune of “White Horse” by Tay. Knowing that it will never be “too late to catch [the crews in front] now”. W2 would like to formally thank Mr Lambert for stepping up to the plate when his College needed him. Henry (VI) would be proud.